Maintaining a strong reputation in our Community. Check out our services and testimonials. We can insure every type of vehicle from your commuter car to your RV, snowmobile, ATV to your classic cars. We will take the time needed to explain what your motorcycle insurance options are in terms of potential and realistic costs - so you can make an informed decision. For most of us, our homes are our most valuable asset. It's important to protect them. We can offer you a package policy custom tailored to suit your specific needs. Whether you are insuring commercial vehicles or considering business insurance, Forbes Insurance can help. We provide coverage for many businesses across the region. We provide packages for many types of properties - home, tenant insurance, condominium, rental units and more. We insure all types of motorized vehicles - ATV's, watercraft, creational vehicles and commercial vehicles. If you're running a business from home or office, you'll need to understand how to insure yourself. Anytime customers visit your premises, you'll need to retain liability and other types of insurance. Call us to learn more. Forbes Insurance is passionate about working with the Canadian Cancer Society. Each year we attend and sponsor "Fashion for Life" - a fundraiser for the Canadian Cancer Society. Gore Mutual Insurance Company, one of our insurance company partners, has a foundation for charitable donations. They allow their brokers partners to nominate a worthwhile charity and to match that donation. This year we co-contributed almost $4000.00 to the Canadian Cancer Society. 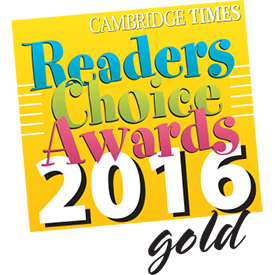 We are happy to have recently been presented with the Cambridge Time's "Reader's Choice Awards" for 2016. It shows our dedication to customer service and our willingness to make a difference in the community we serve. From all of us Forbes Insurance, thanks for your support! We don't believe that customer service is a thing of the past. 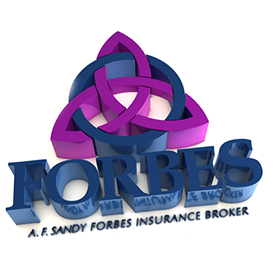 When it comes to something as important as insurance, A. F. Sandy Forbes Insurance Broker will put your mind at ease. Customer service is the foundation of our business and has been since 1959 when Sandy Forbes first began the family business. A. F. Sandy Forbes Insurance Broker offers home, cottage, car, recreational vehicle, motorcycle as well as tenant's, condominium, rental property, small business, and commercial property/vehicle insurance packages. Our team of dedicated insurance brokers will spend as much one-on-one time as it takes to ensure your complete satisfaction. Forbes has served our family for over 30 years. Every interaction with them has been a pleasure. Even when it came down to the unpleasant task of settling claims, they handled things with my best interests in mind. I highly recommend them at every opportunity. Forbes Insurance has always acted as a good broker should, explaining the process and acting in my best interest with the Insurer. Forbes Insurance was highly recommended by a neighbour when I moved to Cambridge close to 30 years ago. Three subsequent moves have each taken me farther out of the area, but I still deal with them for my insurance needs. I always feel that Kathryn and Elza take great pains to explain all aspects of coverage with me, truly look out for my needs, and in addition are just nice, caring, and personable people. Keep up with the changes in the insurance industry. Enter your e-mail and we'll keep you posted on the latest happenings. People in glass houses should take out insurance. A.F. Sandy Forbes Insurance Broker is a Division of 251321 Ontario Limited. © 2019. All Rights Reserved.